Reclaim a stolen artifact and crush a threat to your kingdom! The Hero and Bright Light return in an all-new adventure to reclaim a stolen artifact and crush a threat to their kingdom and their people! Rebuild decimated villages, defeat enemies, and survive off the land as you enjoy hours of addictive gameplay! 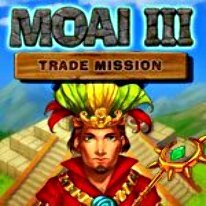 With all of this and more, Moai 3 is poised to be your next great adventure!